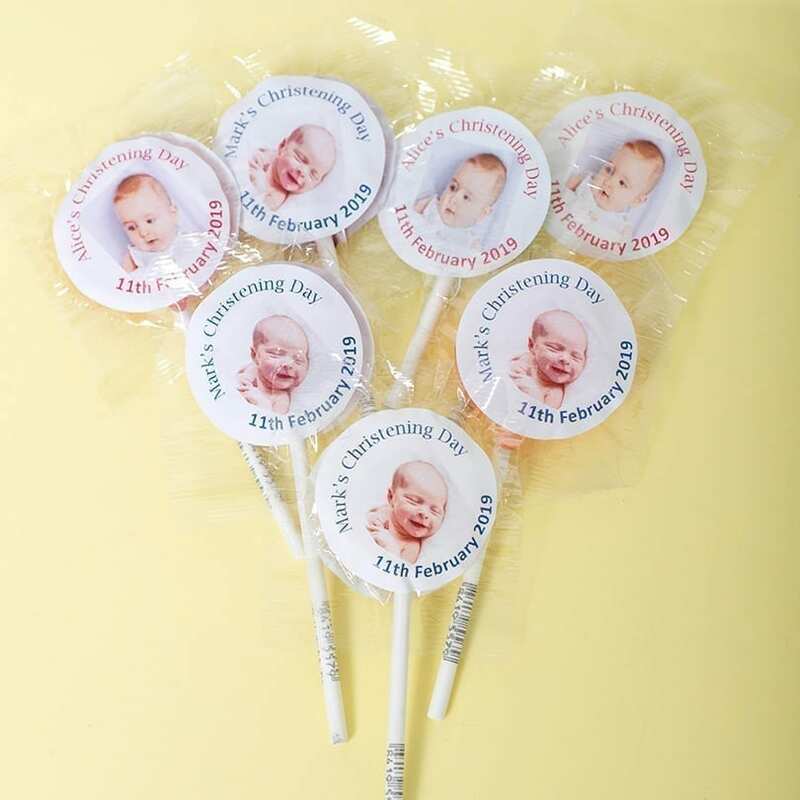 Our fruit flavoured lollipops come with a personalised label on both sides. 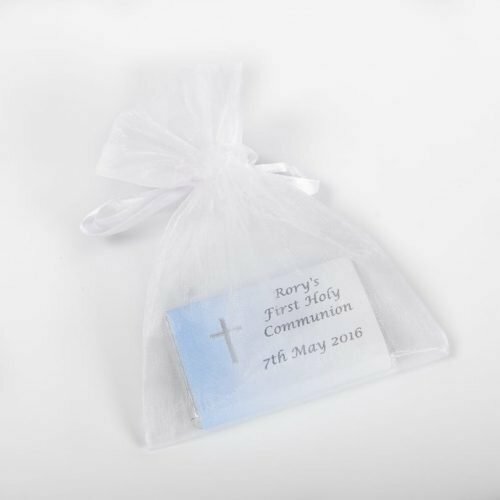 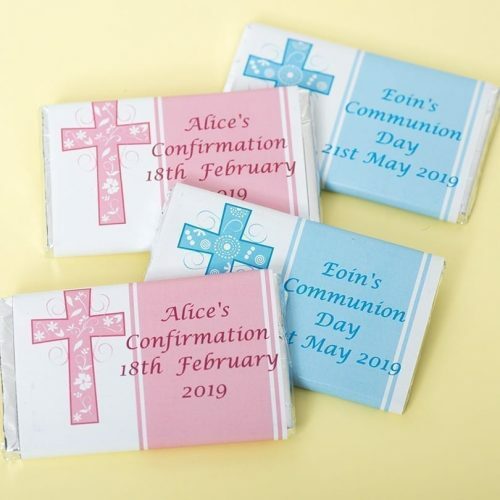 Great for Baby Showers or Christenings 30mm diameter. 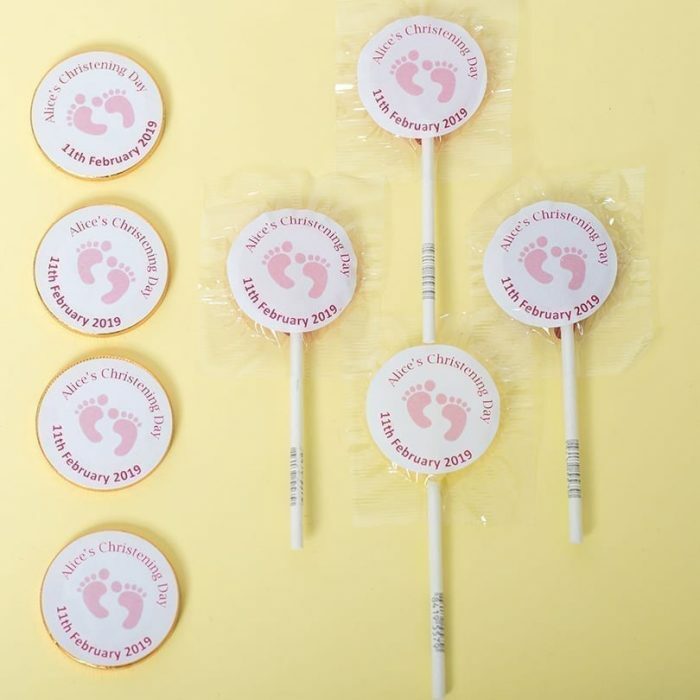 Our Personalised lollies come with a footprints label on both sides. The label comes in either a blue or pink design with blue or pink text.